In my view, there is very strong evidence in the fact that, everywhere in the world where grains have become or are becoming an increasing staple of the diet, we see a fast-rising incidence of diabetes. Consider these two specific studies. The prevalence of diabetes among 2,917 Pima Indians over age 35 living in Arizona who were studied between 1965 and 1969 was nearly 50%, the highest incidence of diabetes among a distinct group of people ever recorded, as reported in the medical journal, The Lancet, in July 1971. This was not an isolated finding. More than 30% of people aged 25 and over among other Native American tribes—the Seneca, Cherokee, and Cocopah—also had Type 2 diabetes. Although the researchers concluded, “The reasons for such a high frequency of diabetes mellitus are obscure,” they speculated that there was a strong possible connection between the tribes’ obesity and diabetes and the alteration of their traditional diet to the typical American diet after their confinement to reservations. Like many Indian tribes, the Pima had made a profound change in what they ate, and the consequence was their shockingly high incidence of diabetes. When American Indian tribes were living in their natural environments on the plains, their diet consisted largely of vegetables, fruits, nuts, eggs, fish, and meat from animals they hunted. But when Indians were confined to reservations, their meals switched to contain substantially more grain-based foods, amounting to as much as 50% of their total dietary energy intake. The link between this radical change in diet for an entire culture residing in different locations and the resulting alarmingly high incidence of diabetes cannot be a coincidence. Another fascinating study that supports the impact of grains in causing diabetes was done in Australia. In the 1970’s, researcher Kerin O’Dea persuaded ten (five men and five women) fully diabetic Australian Aborigines with an average age of 54 to give up their urban diet and spend 7 weeks living as hunter-gatherers in their traditional country in northwestern Australia. In the wild, they ate kangaroo meat, turtle, crocodile, fish, wild yams, and other foods, like their forefathers had. While their urban diet had consisted of about 50% carbohydrates (from flour, rice, potatoes, sugared drinks, and alcohol), 40% fat from meat, and 10% protein, their diet in the wild averaged 61% protein, 24% fat, and only 16% carbohydrate. The results of this 7-week experiment showed that every single participant had lowered their blood sugar to normal levels. While the researchers conducting this experiment believed that the reduced blood sugar levels were the result of the low-fat diet, I suggest that this experiment is yet another definitive proof that it is the reduction in carbohydrate consumption that led to lower blood sugar—in as little as 7 weeks. Dropping from 50% carbohydrate to just 16% carbohydrate in one’s diet is a much more significant change than that in fat intake. While many researchers in the 1970’s were focused on the role of fat in causing heart disease, and rightfully so, we now know that the real source of that fat was the liver manufacturing it from excess glucose absorbed from the gut. These two studies, though done on different people at different times, function together in a scientific way to help us see the link between grains and diabetes. Establishing cause and effect is a universally accepted method of validating a scientific concept. First, a suspected agent is introduced into an environment to see if there is a significantly changed parameter. Next, from an environment that already exhibits the same changed parameter, the agent is removed, showing significant reversal of the parameter. If this can be done, it establishes the cause and effect relationship beyond doubt. 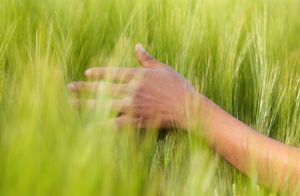 Introducing grain-based foods into the environment of Native American tribes resulted in significant incidence of Type 2 diabetes. Removing grains, the same agent, from the environment of the Australian Aborigines showed significant reversal of Type 2 diabetes. In my opinion, there should no longer be any doubt as to the cause—the overconsumption of grain-based foods—and the effect—Type 2 diabetes. The worldwide cereal production went from 0.8 billion metric tons in 1961 to 2.82 billion in 2014, as reported by the Food & Agricultural Organization, as the world population increased from 3 billion to 7 billion. While the proportion of total energy provided by carbohydrate in the diet was 70% or more in Asia and Africa, the percentage of energy from carbohydrate was only about 50% in the developed world, because people have a higher intake of protein and fat. However, a finding reported in The Lancet Oncology in 2002 stated that, over the previous few decades, the proportion of people with excess body weight had been increasing in both developed and developing countries. The conclusion I draw from analyzing these studies is that the increasingly common incidence of diabetes in many nations of Western Europe, in India, in China, and in many other Asian countries can only be correlated with the intake of grains and grain-flour products. 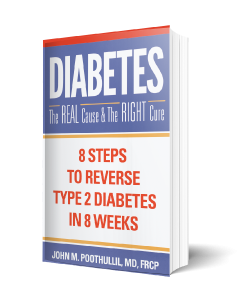 This week’s blog is an excerpt taken from my latest book, “Diabetes: The Real Cause & The Right Cure”. To learn more, reserve a copy on Amazon at https://goo.gl/D2vCCo.